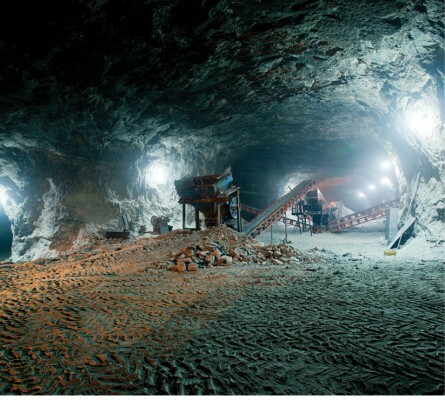 Captive Power: An energy solution for mining? The mining industry is falling under increasing pressure to consider alternative means of power supply. The industry is faced with the effects of a growing energy deficiency as evidenced by the recent approval, by NERSA, of an Eskom tariff hike exceeding 9%, in addition to energy supply constraints to the mining industry and resulting losses in excess of R1.3 billion, as reported by Consultancy Africa Intelligence. 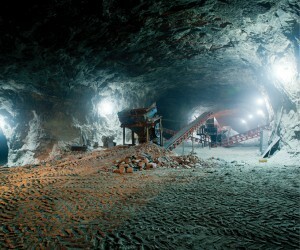 Mining companies are looking inwards and exploring solutions allowing for independent electricity generation in mitigation of what EY, in its 2015 – 2016 report on business risks facing mining and metals, ranks as one of the top ten business risks in the mining industry - inadequate access to energy. South Africa’s current installed power capacity is approximately 45 000MW and an additional 40 000MW in new generation capacity is required by 2025, according to Eskom. The Department of Energy (DOE), at its media roundtable last year, announced that since November 2011 more than 6 327MW have been awarded in terms of its Renewable Energy Independent Power Producer Procurement Programme (REIPPPP) and a new determination has been made for an additional 6 300MW. While the success of REIPPPP is indicative of government’s commitment to providing the additional capacity required, it is unclear if the DOE’s procurement programmes, which include REIPPPP, will achieve the 40 000MW by 2025 and whether this estimated new generation capacity will indeed be sufficient. distribution network or operating independently of the distribution network. Captive Power plants provide mining companies with the autonomy to better manage their overall cost base and minimise the costs of energy which represent up to 40% of a mining company’s total expenditure. It further extends itself to provide security of power supply through self-generation and the avoidance of ever fluctuating Eskom tariffs. In a market where we are seeing disposals of mining assets, buyers are applying rigorous scrutiny to the expenses on the books of target companies. High energy costs and the serious safety and production implications of restrained or reduced power do not increase the ‘attractiveness’ of a target nor does this support the idea of reaching optimum production efficiencies of existing operations. The opportunities afforded by localised generation of power are even more pronounced in respect of the rest of Sub-Saharan Africa. The combined installed capacity of the region clocks in just below 40 000MW, with thirty Sub-Saharan countries having installed capacity of less than 500MW. Renewable energy developers seeking to assist mining companies wishing to make use of captive power plants should, however, remain cognisant of the additional environmental impacts arising as a consequence of such plants. Depending on the technology to be used and electricity output of the plant, captive power plants may need to be authorised by way of an environmental authorisation. In addition to this, cognisance must be taken of the mine’s existing environmental approvals and conditions of these approvals. Mines are highly regulated in terms of environmental law and, accordingly, it is fundamental that the captive power plant does not result in non-compliance with the mine’s existing approvals. In addition, occupational health and safety considerations must be taken into account. Notwithstanding the apparent independent operation of a captive power plant vis-à-vis the mining activity to which it supplies energy, the broad statutory definitions of a mine may still mean that mining specific health and safety legislation must be applied to the plant - requiring carefully implemented integrated safety management systems and risk mitigation strategies. Non-compliance with the applicable health and safety legislation, the possible impact of accidents occurring as a direct result of mining activity, and an already under resourced inspectorate grappling with a possibly unfamiliar environment will be some key considerations from the outset.